Alright, well we are cruising through our Now a Major Motion Picture cycle and I’m loving it. Getting into a groove on finishing these books. This week we’re doing a movie that I really didn’t know was based on a book. 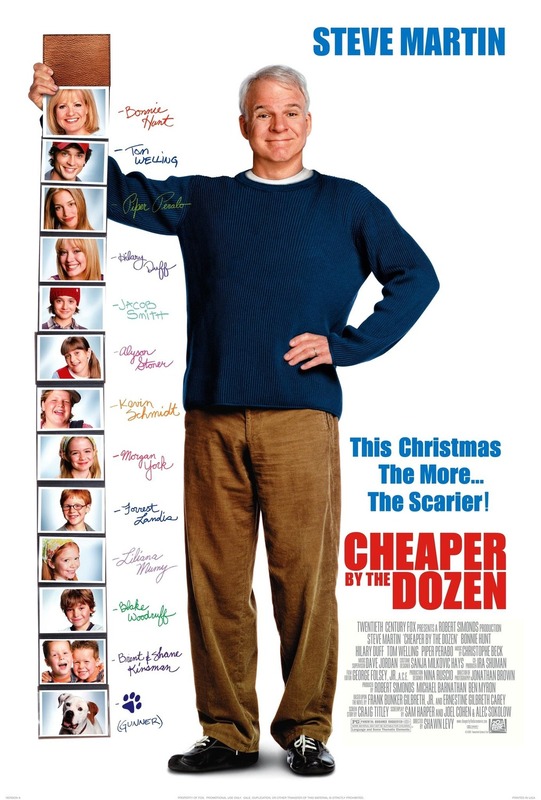 Cheaper by the Dozen starring Steve Martin. Apparently it’s based on a memoir of a prominent engineering duo who had 12 children and were pretty quirky. They made a 1950 movie out of it and then remade it in 2003. A pleasant surprise was that the book is only 200 pages long, so I’m already done with it and moving onto the next book. Seemingly takes place in Chicago, so not an addition for the map (but what really is at this point). Let’s go! Leonard Maltin – 3 stars – Martin and Hunt are happy, harried parents of 12 kids until a major move and career changes (a football coaching job at his alma mater for him, an extended book-promotion tour for her) throw the family asunder. Cute family comedy, with predictable slapstick moments, is strengthened by Martin and Hunt’s performances as genuinely loving parents. Although officially a remake, it has nothing to do with the 1950 film or the book that inspired it. Ashton Kutcher appears unbilled. Followed by a sequel. Rotten Tomatoes – 24% (28/118): In this family of twelve children, much chaos ensues, but little hilarity.